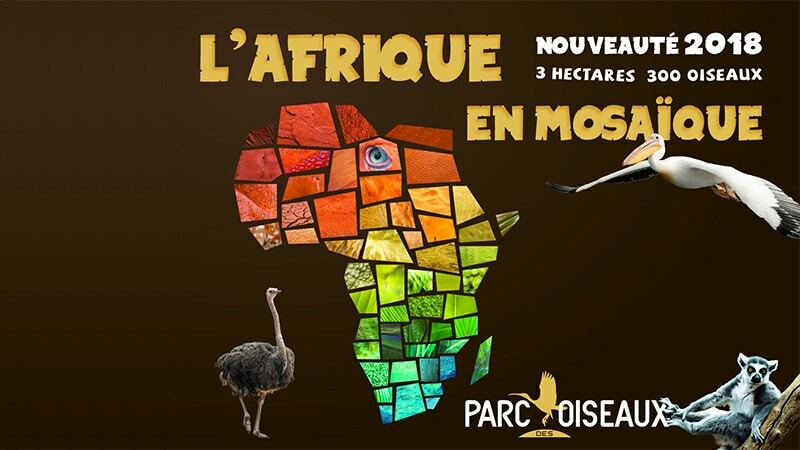 The Parc des Oiseaux in the Ain region has chosen its 2018 theme: an ode to African species in its world habitats. The Parc des Oiseaux in Villars-les-Dombes has opened its world habitats with their new 2018 theme, which this year will focus on African species. Located in the Ain region, the Parc des Oiseaux is a 35 hectare bird sanctuary split into two sections between preserving local species and ecosystems and introducing world species to its visitors. The park chooses a new theme each year, and this year has chosen the rich world of African birds to populate its world species areas. The project, called “L’Afrique en mosaïque,” will bring in hornbills, vultures, flamingos, giant herons, serpent eagles, and even lemurs and meerkats to give visitors a real feel for African species diversity. The new birds and animals will have homes in park sections designated for meadow, savannah, Madagascan, and avian ecosystems. The African species join a list already including Asian, South American, Oceanic, tropical jungle, and greater European birds found in the park, which is home to over 300 different species. The Parc des Oiseaux is open every day from April to November, from 9 a.m. to 7 p.m. Regular adult entry is €19, while youth 13-25 are €16 and kids 3-12 are €14. Donec non facilisis id, libero tristique efficitur.